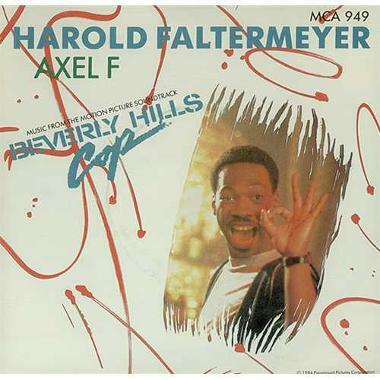 I'm a big fan of synthesizer music, and here we have the original 80s version of Axel F by Harold Faltermeyer. Fortunately, there's no damn Crazy Frog in sight - you may remember Crazy Frog's annoying version topping the UK charts in 2005. 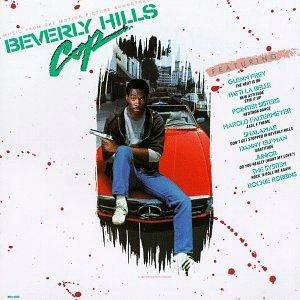 Produced by Keith Forsey, this instrumental theme tune was, of course, from the 1984 movie Beverly Hills Cop, which starred Eddie Murphy as the reckless police detective Axel Foley. 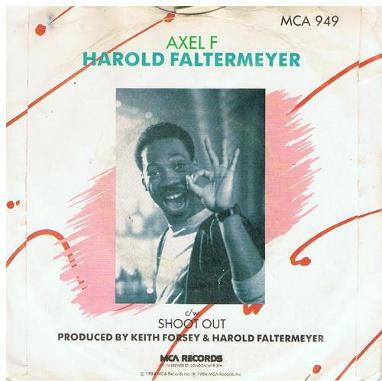 Released in January 1985, the synth tune reached #2 in the UK and #3 in the U.S.
Axel F not only featured on the soundtrack album for Beverly Hills Cop, but also Harold Faltermeyer's 1988 own album Harold F. However, apparently, he did not want the track included on the album, but MCA insisted that it was included as it was his most recognisable anthem and would help sales. The German musician also penned the theme music for the movie Top Gun, and has worked with dozens of well-known eighties artists including Blondie, Bonnie Tyler, Donna Summer, Pet Shop Boys and even Billy Idol. The B-side on the 7 inch vinyl single featured "Shoot Out" (2:44). This was also included on the 12 inch vinyl maxi single, alongside and extended version of "Axel F" (7:09). 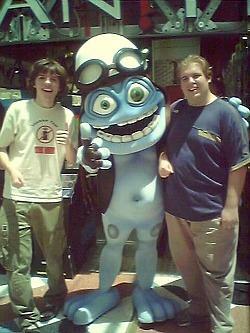 Photo: Crazy Frog with M.C. Brown Shoes and M.C. Survey in Sweden. His torturous version of Axel F stayed at No.1 for four very long weeks. 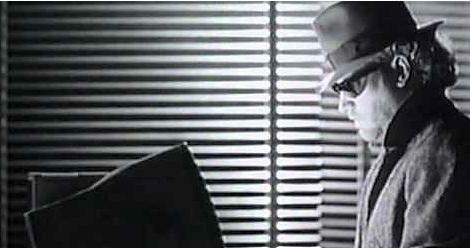 The video featured him riding an invisible motorbike. Well, as it was invisible, we all just assumed it was a motorbike - we could only pray that it was heading to a French restaurant.